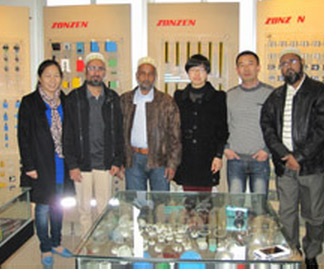 With our professional engineers, advanced equipment, strict quality control process, and over 10 years experience in designing, manufacturing and distributing in temperature sensors, we strongly believe we can provide our valued customers the best CQTS (Cost, Quality, Delivery Time, Service). A:I have felt verycomfortable with them from the first moment. It's been a long developementprocess, but very linear nonetheless. 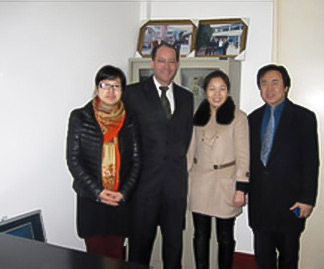 They are great professionals and form anextraordinary team, both in their offices and the manufacturing plant. It'sremarkable. After the 20th ChinaInternational Furniture Expo, “Bear” collection becomes popular,Whatis your design inspiration? And what kind of lifestyle you want to interpret? Our inspiration was the idea of wrapping the user in ahug of a big teddy bear. An icon is both strong and warm, very fitting toanyone's home. At the same time, we try to convey the idea of family, so rootedin Chinese culture, with an element that embraces the user.Anavantgarde, modern and warm lifestyle is capable of coexisting with the oldways. That's in fact something China can deliver to the rest of the world:being proud of a great tradition and trying to combine it with the present. Whatdo you think about the eastern and western differences in lifestyle?